By buying this product you can collect up to 1224 loyalty points. Your cart will total 1224 loyalty points that can be converted into a voucher of $44.06. 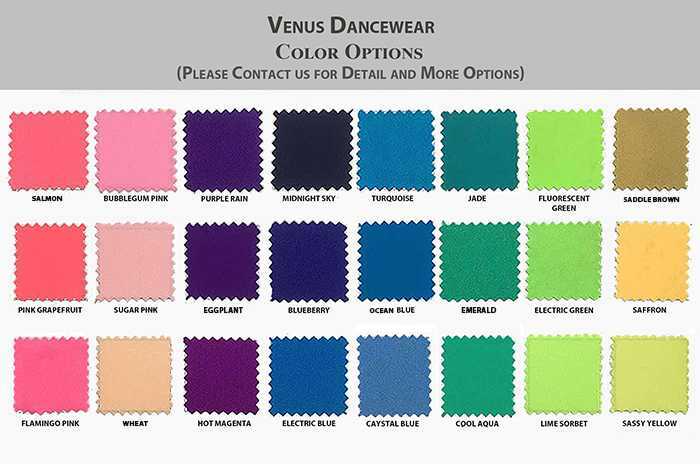 Venus Dancewear is an amazing company to work with and have one of the best customer service teams I have encountered. 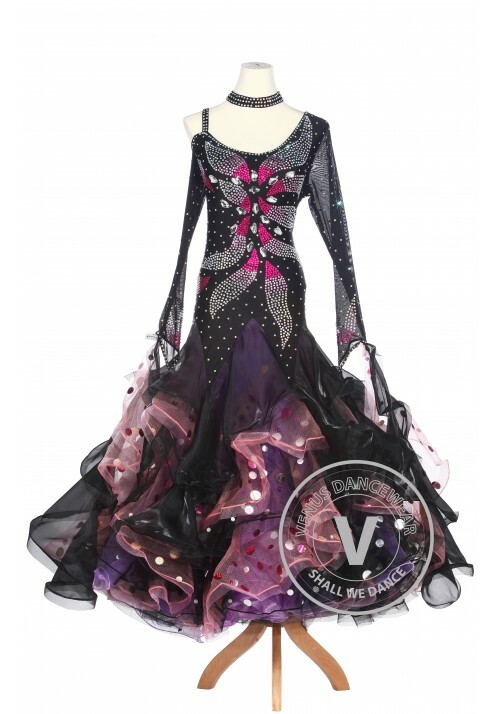 I was in dire need of a ballroom dress in a shorter timeframe than is usually required to produce. 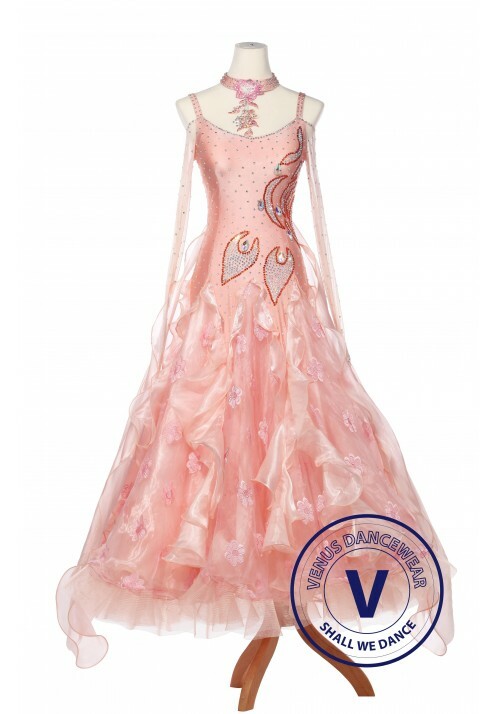 I chose this dress from a list of those they could produce within my needed timeframe. Not only did I request a different color combination from the pink and white, but I requested the shoulder straps be widened a bit. 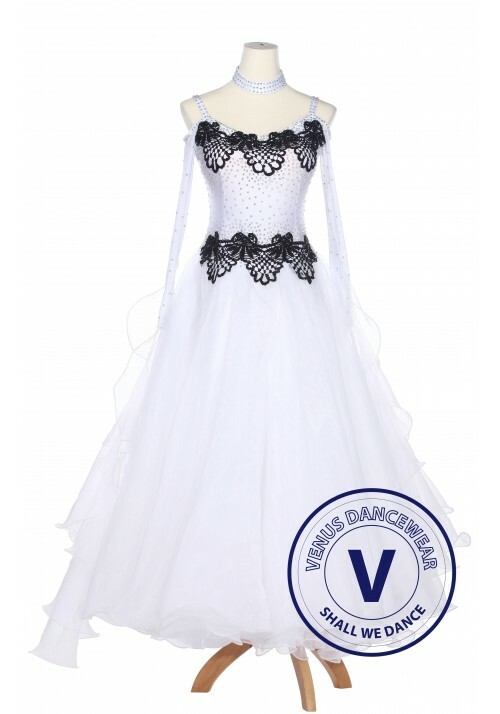 The dress arrived a day ahead of the agreed upon time and was perfect; I received a lot of compliments at competition. 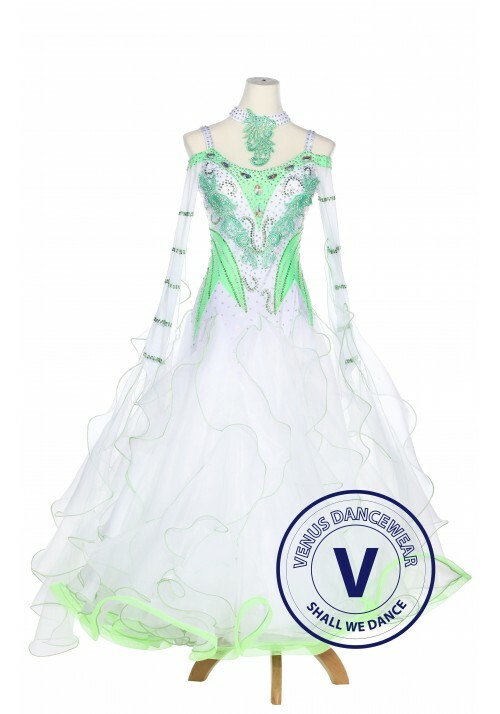 This is the third of 4 dresses I have bought from Venus and I always get the same question..."where did you get your dress from". I have bought a pink-white dress here. I received my dress yesterday and its absolutely gorgeous. Impressive! Love it! 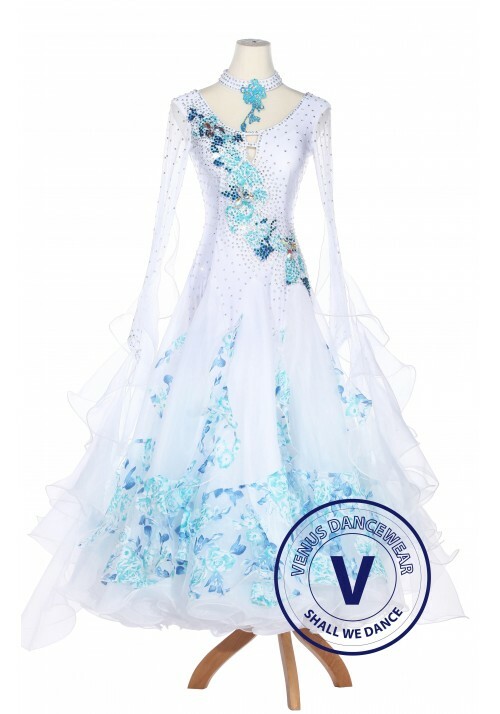 It arrived this Friday with nice packages, the dress is more beautiful than I expected. Perfect fit! Thank you!!! 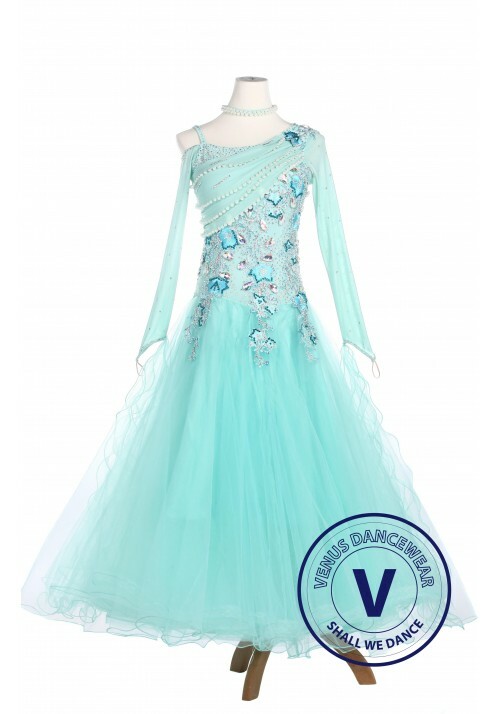 Will order a latin gown before my next competition. Exactly same as shown on pictures, and arrived yesterday, with many thanks. Great service.